How many listings can we optimize for you? Get a data-driven listing that maximizes your exposure and sales on Amazon! You are about to be redirected to your Listing Advisor page. In just a few more seconds you will be able to upload your new listings. GOT 25 OR MORE ASINS? We offer special discounts for Enterprise customers. Enter your information and we'll contact you within 24 hours. Click on the blue button in the bottom corner, and we'll help you right now. Save Time. Make More Money. Let Us Do the Writing. We are the shopper search experts. We bring that expertise to you with Listing Advisor™, our completely customized, all-inclusive Amazon listing creation service. We strategically place each keyword to boost your product's ranking in organic search. Don't waste hundreds of dollars just for your product title to be keyword-optimized. Get everything your listing needs with a single purchase: comprehensive competitive research, optimal keyword data discovery, and complete listing creation. Each product, listing, and business is unique, and no one knows about it all better than you. So that’s where we start. WE LEARN ABOUT YOUR PRODUCT AND BUSINESS. We review all the information you provide in your initial questionnaire. We get acquainted with your brand, your product, and what sets you apart from the competition. After that, we match you directly with a writer who excels in your market. Your expert writer gets to work researching our database of 1.6 billion+ unique Amazon keywords with tools we’ve built exclusively for them. They look at competing products, listings, category best sellers, "Amazon’s Choice,” related keywords, trending keywords, semantic matches, and more. They gather all the data they need to know how shoppers are searching for your product. WE CRAFT YOUR LISTING WITH SEO-FRIENDLY COPY. Once your writer is armed with insider’s knowledge about your product and its place in the market, they write a keyword-heavy, traffic-magnet listing. Your title, bullet points, description, and backend search terms are all customized and optimized with hand-crafted language and keyword-driven data for proven results. WE GIVE YOU YOUR NEW LISTING. We deliver your listing to you in less than 10 business days, for you to review and implement into Seller Central. It’s as easy and effortless as copy and pasting. We don’t need any of your private account information, so your business stays entirely secure, and you remain in control. WE GIVE YOU YOUR FREE BONUS. Along with your listing, you'll receive a list of the most relevant Amazon keywords for your product. Use this invaluable data to maximize revenue on your PPC campaigns, optimize your website's SEO, and connect with your target audience on Facebook. At the end of the process, you'll have a completely revamped listing from top to bottom – title, feature bullet points, description, and backend search terms – using data-driven keywords directly from Amazon. The MerchantWords team did a great job! We will be launching our 2nd product through Listing Advisor within the next week. Thank you for the great customer service & communication! I was happy with MerchantWord's Listing Advisor service. After optimization, my product’s BSR improved 8X. What was really amazing about the listing redo was how intuitive the words were. The person writing the listing must have done some research on the product because she came up with much more to say about the product than I gave. Each comment was more expanded than anything I had written. 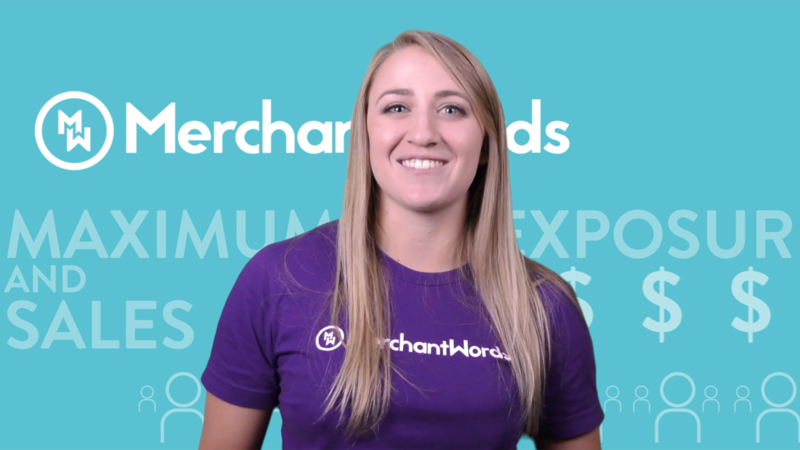 I selected MerchantWords to update our listings because I wanted a company that understands Amazon and specifically – keywords. Before the new listing, I only had about 80% of my keywords indexed…[after] more than 95% of the listing was indexed. I would recommend this service and will use it for my future products…My listing looks better now, and I’m getting more sales. I have tried 3 other services before for the same product, but MerchantWords truly did deliver the best result. Our process is so thorough that the vast majority of our customers are happy with their listings. If for some reason you’re anything less than thrilled with the results, we offer a free listing rewrite to guarantee your listing is written in your brand’s voice and equipped with the most relevant, high-converting keywords. We do all the heavy lifting, so you can focus on growing your business. And, if you have any questions along the way or want to reach out after the process is complete, we’re always here to help. WHAT DOES A COMPLETE LISTING INCLUDE? An Amazon SEO professional to perform in-depth research into your brand, product, market, and competition. A category expert from our US-based team of skilled writers who are dedicated keyword specialists and experienced e-commerce editors. Personalized sales copywriting that is specific to your brand’s voice and style. A fully optimized listing that includes a handwritten title, product feature bullets, and description (text and HTML). A complete listing that adheres to the style guidelines for your category, as well as Amazon’s terms of service, including character counts, words to avoid, and more. 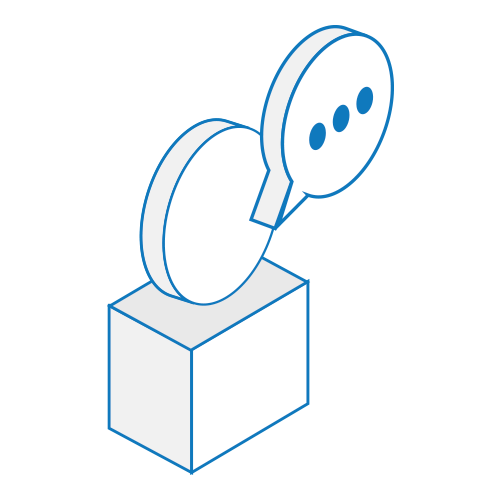 Customized feedback about non-copy specific elements of your listing that may be affecting the discoverability of your product. Free bonus #1: A complete list of backend search terms for maximum discoverability and traffic generation. Free bonus #2: A CSV keyword bundle with terms and their estimated search volumes at the time of delivery. Satisfaction guarantee: Have a concern about the finished product? No problem, just email us with your specific comments, and we will be happy to offer you a rewrite. HOW LONG DOES IT TAKE TO WRITE MY LISTING? Once we've received your completed questionnaire, you can expect to receive your optimized listing in less than 10 business days. No need to mark your calendar, we'll email you with any updates. WHAT INFORMATION DO I NEED TO PROVIDE WHEN I SUBMIT A LISTING ORDER? How does your product benefit a customer? Who are the primary customers for your product? Do you have a warranty or a money-back guarantee? Are there ANY phrases or claims we should avoid? The more information you can provide, the better your final listing will be. DO YOU HANDLE PARENT-CHILD LISTINGS? Yes, we do. If you purchased a parent ASIN listing, we can write content for child listings at a nominal fee. Please click the blue button in the right-hand corner or email [email protected] for more information. CAN YOU CREATE LISTINGS FOR BRAND NEW PRODUCTS? Yes, we can! Whether you’ve been selling for years and need help managing hundreds of listings, or you’re just starting out and want to make sure your initial launch is effective, we’ve got you covered. HOW DOES LISTING ADVISOR GET ME MORE SALES? The Listing Advisor team optimizes Amazon product listings with two factors in mind: maximum discoverability by Amazon's search algorithm and readability by real human shoppers. Our team of SEO experts strategically places each keyword to boost your rankings in organic search. Although search volume is essential, we are always looking for search terms that provide the highest potential for conversion. 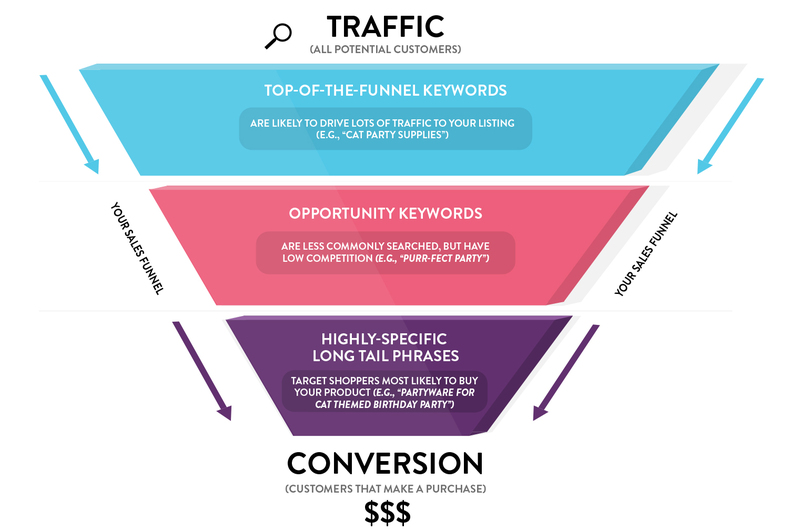 Top conversion keywords are relevant words that demonstrate a customer's intent to buy your product. We let our keywords guide our writing, and always prioritize your brand, your product's features, and the key selling points. WHEN CAN I EXPECT TO SEE THE RESULTS OF MY NEW LISTING? It can take up to 30 days to see the impact of your optimized listing as Amazon's algorithm indexes your listing for new keywords. IS LISTING ADVISOR AVAILABLE FOR ALL MARKETPLACES? Currently, our Listing Advisor service is available for products sold in the Amazon US, CA, UK, AU, and IN marketplaces. We plan to offer listing optimization for all marketplaces in the coming months.